In 2014 Rivertek became the Authorised Distributor for MITAS Crane Tyres and distributes these tyres through their Parts & Service Department. 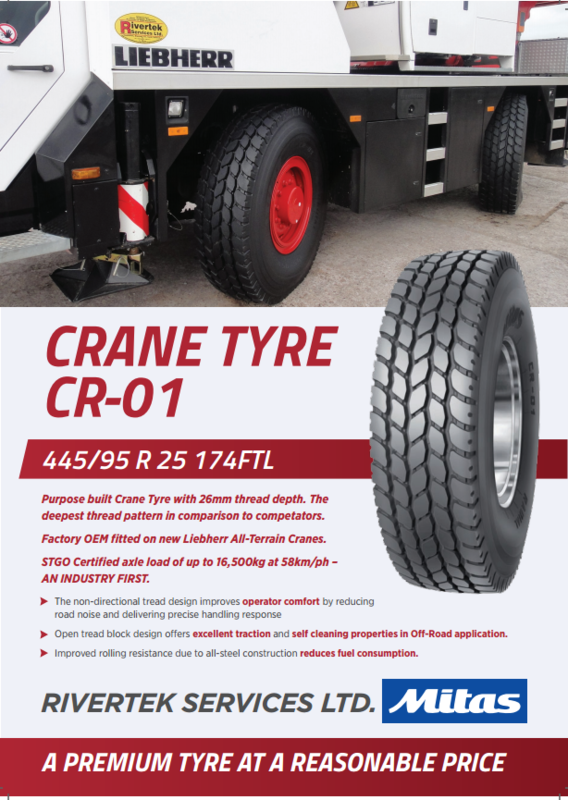 MITAS Crane Tyres are fast coming a market leader. Open tread block design offers excellent traction and self-cleaning properties in O-Road application. Improved rolling resistance due to all-steel construction reduces fuel consumption. Please feel free to contact our Parts & Service Department for a competitive quote and off the shelf availability.